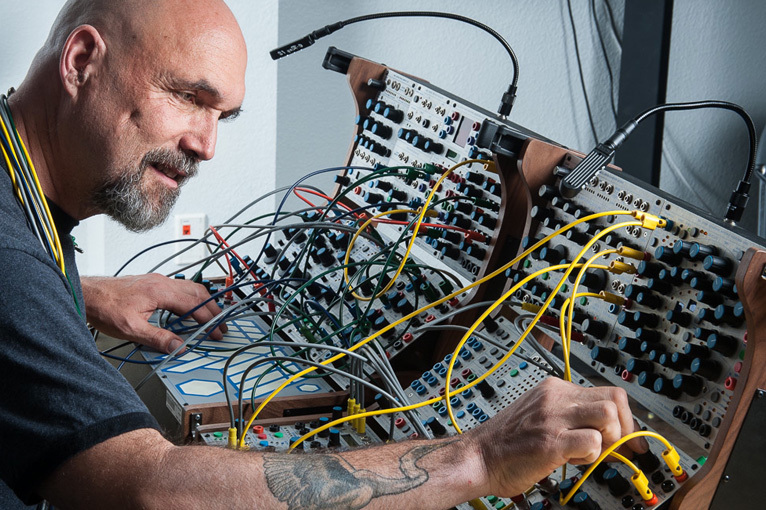 Music Monday explores incoming American sound artist Bob Ostertag upon his multiple Shanghai bookings this week. Break out that pumpkin pie and poutine fries Shanghai for today is Canadian Thanksgiving! You rink rats ready to get down and party with a mickey and some maple syrup covered treats? Since I’m broke as a joke I’ll be celebrating at Windows Scoreboard and consuming not one but two chicken dinners for a mere 35rmb. Just look at that Windows flyer with American flag background and lady liberty giving Canada a mad dog stare almost saying “Turkey? How about some dry chicken, salad with no dressing, and potatoes made out of cardboard”. Take that Canada! As we shrug off the last remnants of the recent Golden Week celebrations that left a burning sensation during urination (wait, is that just me? ), we bunker down for one of Shanghai’s last outdoor festivals before the sweet grip of winter sets in. Yes this weekend is the 11th installment of China’s premiere JZ Festival, and looks like we all will have a nice family friendly, warm, and dry time. If you're not familiar with the JZ Festival, along with showcasing countless Chinese musicians, the live club and school franchise have brought over some of the world’s best performers like Bootsy Collins, Mos Def, and Jazzanova, just to name a few. At first when I read one of the main headliners this year is the “Earth, Wind, and Fire Experience”, I thought it strange that JZ Festival would book a cover band for this prestigious slot. However upon further inquiry, it appears the band is legit with former Earth, Wind, and Fire guitarist Al McKay leading a 13-piece ensemble of established musicians. I also highly suggest the Saturday, October 17 after–party at On Stage that features a live performance from European super duo The KDMS, who have been to Shanghai a few times before and just kill it. While classic funk bands and modern Tawianese pop stars will more than make this another interesting week for Shanghai music, today we are going to cover an incoming sound artist known as Bob Ostertag. This American pioneer of early electronic music is in town giving a lecture at the Shanghai Conservatory of Music on Thursday morning along with performing at Yuyintang the same night and Basement6 on Saturday. Let’s get weird Shanghai! During the 1970s there was a perfect storm of creativity born out of various 1960s movements that allowed musicians to explore and produce non-pop-friendly forms of expression. Bob Ostertag was on the forefront of a minimal experimental scene that utilized the latest synthesizer technology to create non-radio-friendly music that would go on to influence the founders of modern day techno. 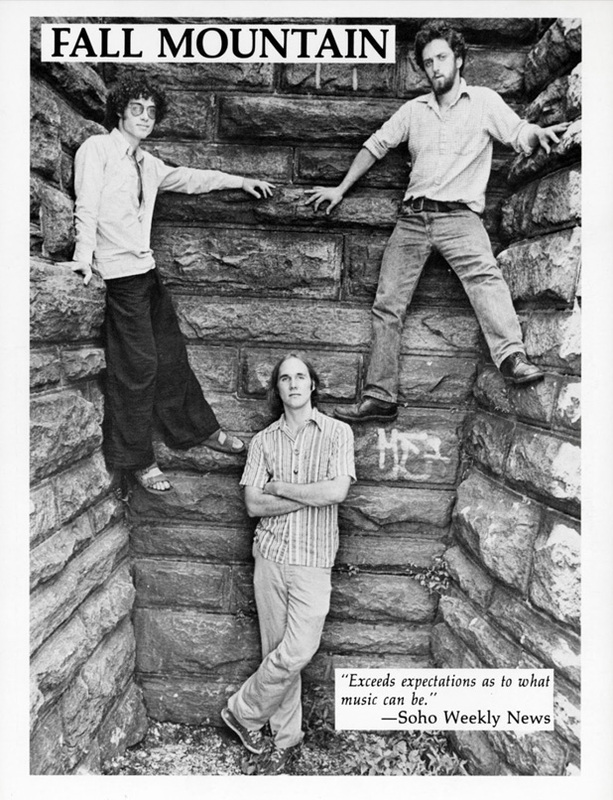 Having studied at America’s longest running conservatory of Music in Oberlin, Ohio, the avant-garde pioneer got his start with an improvisation ensemble in 1976 called Fall Mountain. It wasn’t long before the gritty underground scene of New York was calling Bob’s name, and upon moving to the Big Apple, the native New Mexican started his collaborative improvisational techniques using tape manipulation, samples, and using custom-built instruments. Along the sides of artists such as Steve Reich, the Obertag crew cut their teeth in New York’s The Kitchen communal art space which helped everyone from Phillip Glass to the Future Sound of London get their start. Check out this piece titled “Getting A Head”, which is the acclaimed culmination of some of those early improvisational works. After being disenfranchised from the increasingly corporate music scene of New York, Ostertag relocated to Central America in the early '80s. For most of the decade, he was called upon by institutions like Harvard and Yale to give lectures on the social climate of the region. If you have caught that new show Narcos on Netflix, which covers the rise and fall of Pablo Escobar, then you’ll have an idea of how crazy things were down in Central and South America during this time. 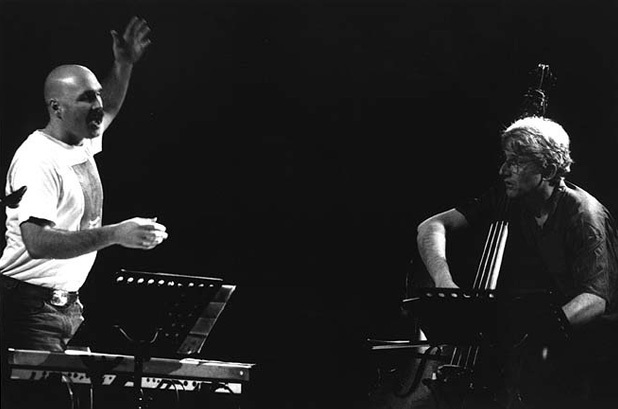 At the start of the '90s, Ostertag returned to music and one of his first breakout projects was a piece commissioned by the highly respected Kronos Quartet. Ostertag was also heavily involved in LGBT rights and influenced by a protest for gay rights, recordings from which are included in the Kronos Quartet piece. Continuing into the '90s, Ostertag worked on multiple projects, one of which being a band with Mike Patton of Faith No More / Mr. Bungle fame. During this time Ostertag was located in San Francisco and represented the explosion of music and art on the West Coast of America that the grunge explosion helped foster. To be honest, this is my least favorite era of Ostertag’s work as most of it just doesn’t click with me. However I do like the last '90s work with his band PantyChrist, in which he teamed up with legendary Ground Zero front man Otomo Yoshihide to produce some great pro queer art rock. 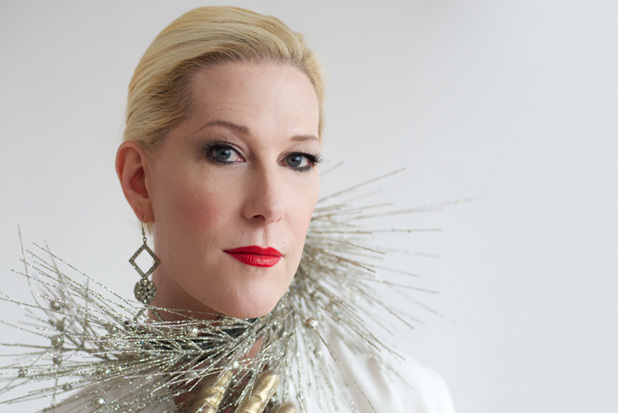 The face of that project was Justin Vivian Bond, a prominent transgender artist who went on to a thriving solo career and worked with the likes of Rufus Wainwright, Scissor Sisters, and more. It was also during this time when Osterag started working with PC-based music, giving up his infamous Esoniq ASR-10 sampler on which he produced many of his works. Mike Patton & Bob Ostertag - "The Man In The Blue Slip"
Throughout the '00s, Ostertag continued his dive into the world of software-based music that lead to the 2007 release of the album w00t, a mash up of chiptune versions of video game sound tracks from the likes of Myst, Legend of Zelda, Killer Instinct, and of course Contra. That album was made available for free online on Ostertag’s website and was the start of his new movement showing the cracks in the aging music industry. Ostertag made all of his past recordings available for free, doing away with any copyrights, and started giving lectures on the changing face of what it means to create music in a post-record-label world. Also during this time he kept up his writings, publishing books, and eventually landed a job as a professor in the faculty of Technocultural Studies at UC Davis. Never stopping his collaborative works, one of my favorite more recent pieces of Ostertag's is the project he did with Rrose. You might remember Rrose from the Void show at Shelter. To me it’s one of the best techno albums of all time and shows that even after 40 years of making music, there is always another project around the corner. Rrose x Bob Ostertag - "Pointilism (Variation One)"
So wake up early on Thursday, October 15 and head down to the Shanghai Conservatory of Music for a 10am lecture from Bob Ostertag. Then later that night at Yuyintang he will be performing with one of China’s most progressive musicians, Han Han of Duck Fight Goose. Then on Saturday you can catch an intimate showdown at the art collective spot Basement6 for a free show. Finally, at 5pm on Sunday at The Shelter, Ostertag will be giving a talk and Q&A to round out the trip.